The Delaware State Fire School, under the auspices of the State Fire Prevention Commission, provides Fire, Rescue, Emergency Medical Training and Public Fire Safety Education to the Fire and Rescue service, as well as, to Industry and Citizens of our State. 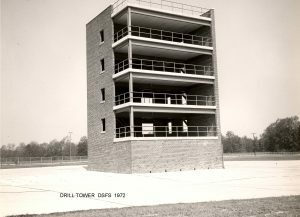 Over five decades ago, a group of ambitious men from the Delaware Fire Service organized the first formal training program for the volunteer firemen. For many years, the Educational Committee of the Delaware Volunteer Firemen’s Association, supported by the Department of Vocational and Technical Education carried on a valiant and rewarding program to provide training for the firemen in the state. They held classes in abandoned houses, in sandpits, at schools, in fire stations, and any other location that they could find. During this time, the dream of a permanent training center took root and grew, nourished by the ideas of many dedicated. 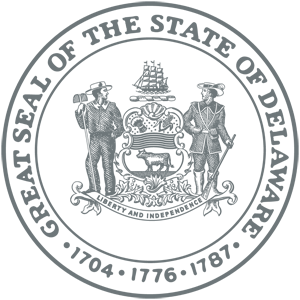 Actual design for the center began in November 1964 when the Delaware State Fire School was created as a State agency. With the financial backing of the State Legislature, the staff and the architect began to sort ideas to fit the needs of the fire service, and to visit other training facilities to review the good and bad points of each. Finally, a plan was developed which, interestingly enough, was not modified from the start, attesting to the original strength of the plan. 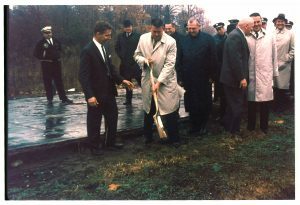 On November 12, 1966, the dream began to take shape as a reality when Governor Charles L. Terry, Jr. turned the first spade full of earth, officially starting the construction. The original Classroom and Administration building was divided into three sections. The western end housed the office of the director, senior instructors, administrative offices, and locker facilities for the staff and students. Either a hallway or a closet separated each of the four classrooms in the center section, thus allowing for maximum soundproofing. The third section of the Administration building originally housed the cafeteria, a completely equipped kitchen, and an apparatus room. In 1970 with the addition of the warehouse the apparatus room was converted into an auditorium. The drill grounds included a network of roadways connecting the various training areas. The Structural Fire Building serves as a multi-purpose building. The right side of the building simulates a regular 2½ – story dwelling, with the left side simulating a commercial or industrial building. The Control Tower is the nerve center of the training complex. From the windows on the second floor, the visitors and safety officer have an unobstructed view of every one of the different training areas. 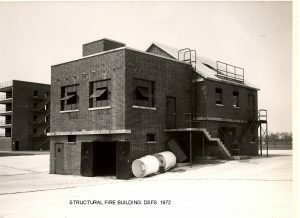 The original construction also included a Breathing Apparatus Building that offers a special facility for training firefighters in the use of all types of breathing apparatus under actual smoke and darkness conditions. During the mid 1970’s four pole shed type classroom structures were erected on the drill grounds. These outdoor student areas are equipped with chalkboard and electricity. 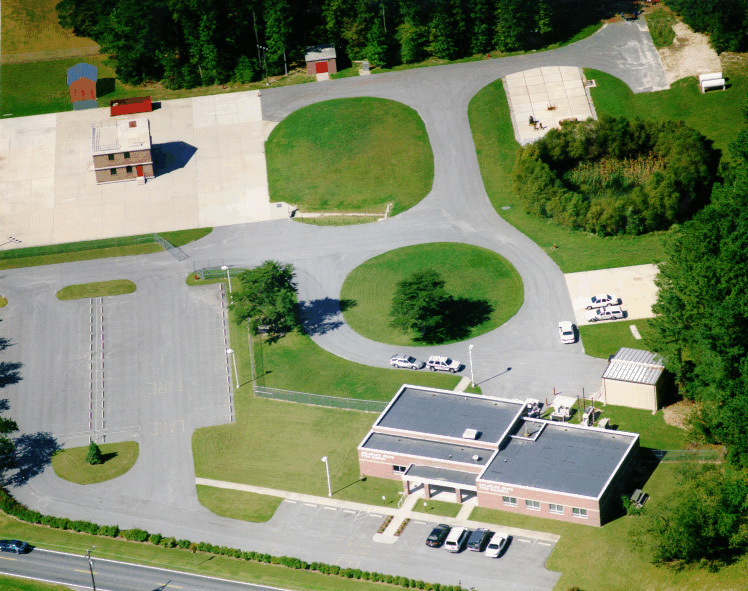 During 1978 a new training area was constructed as the Flammable Gases Training Area, located between the pump house and the Liquids Training Area. little resemblance to the original Administrative Building. 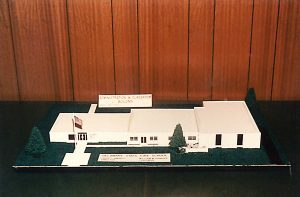 During Fiscal Year 1981, 16,200 square feet of additional administrative, classroom, and cafeteria areas were added to meet the growing and expanding needs of the Fire School. The modern facility can comfortably accommodate approximately 700 people for learning, workshops, meetings, or for any purpose in which large numbers of people assemble. During the summer of 1984 the Flammable Liquids area was reconstructed to upgrade the original liquids training area. And the late 1980’s added another addition to the west end to house the Fire Prevention Commission and their Secretary. Throughout the 1990’s many different projects were completed that added to the ability of the school to conduct and improve training. 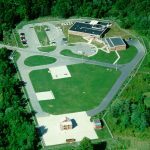 These included the construction of the Confined Space Training area and the Forcible Entry building, along with the replacement of the outdoor classrooms. With the financial su pport of the State Legislature, the Fire School was able to construct two Divisions, one in Sussex County and one in New Castle County. These regional training centers allow the school to provide in-service training to our customers. Today the complex of training facilities and the classrooms and administration building stand as a tribute to those dedicated men who had a dream. To a succession of governors who gave their unflagging support, to a succession of legislators who make the dream a reality, and to the thousands of firefighters for whom this center was built and is maintained. The New Castle Division houses the Fire School’s Regional Center and the New Castle Office of the State Fire Marshal. The site is located on McArthur Road and consists of 10 acres of property. The Fire School has three classrooms, a flammable gas training area and a structural burn building. The property was leased from New Castle County Government for fifty years with a renewal option. The completed facility was dedicated September 12, 1999. The building was expanded in 2017 to add a new classroom and office space. 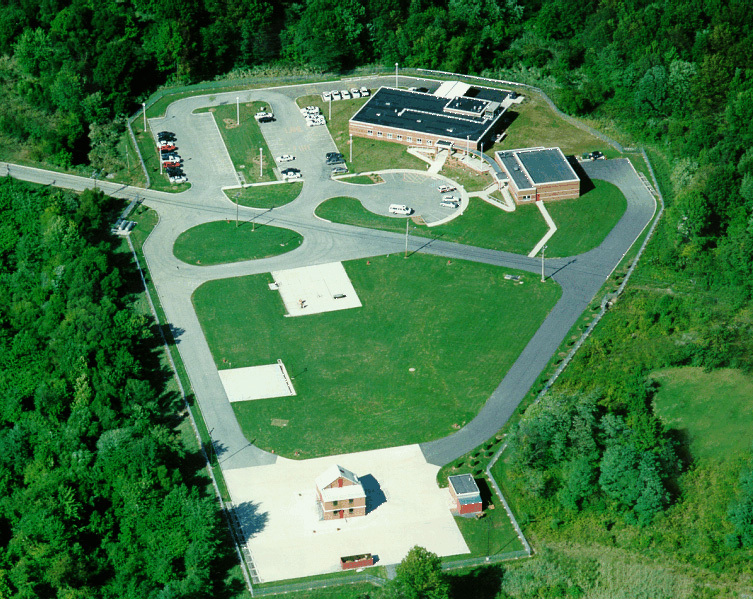 The Dover facility is the central and main facility of the Fire School. 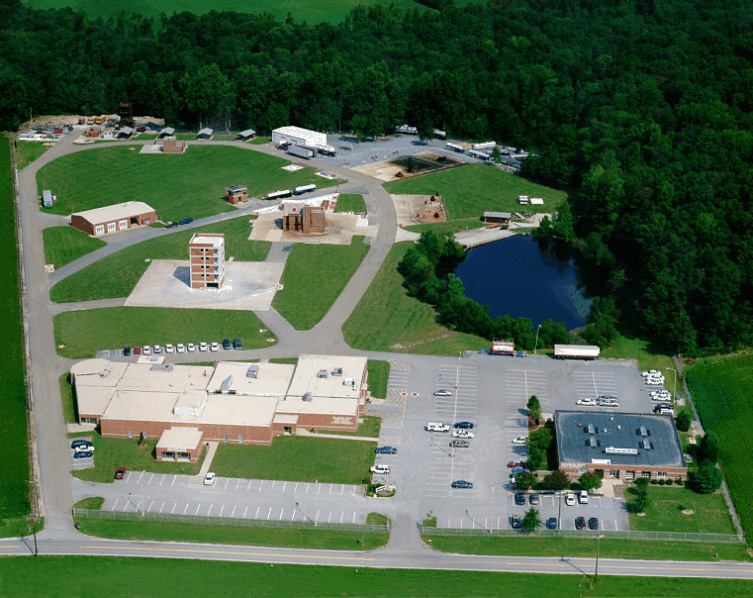 The facility is west of Dover located on approximately 30 acres of land. 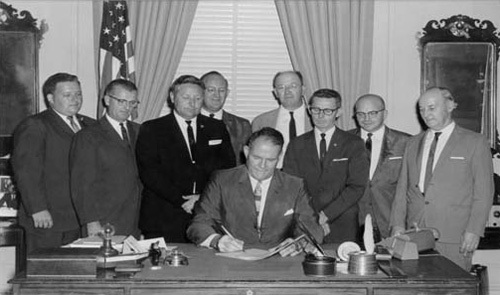 The original facility was dedicated on September 22, 1968. A second dedication was held on September 19, 1981, when the administration, classroom building was doubled in size. 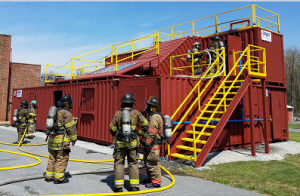 The Dover facility offers a complete range of training facilities and props required to meet the needs of todays firefighters. The Dover facility is open virtually seven days a week with the exception of major holidays and the months of July and August, when weekend classes are not scheduled. The Sussex Division houses the State Fire School’s Regional Training Facility and the Sussex County Office of the State Fire Marshal. 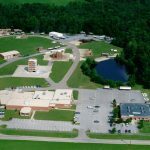 The facility is located on the east side of the Sussex County Industrial Air Park on 5 acres of ground. The facility was dedicated on May 9th, 1992. The property was provided by the Sussex County Government on a 99-year lease for a dollar. The site includes office, classroom, flammable gas area and a structural burn building. The building was expanded to it’s larger classrooms in 2013.